Create your own personal guides for Montenegro by clicking the icon in the top right corner. 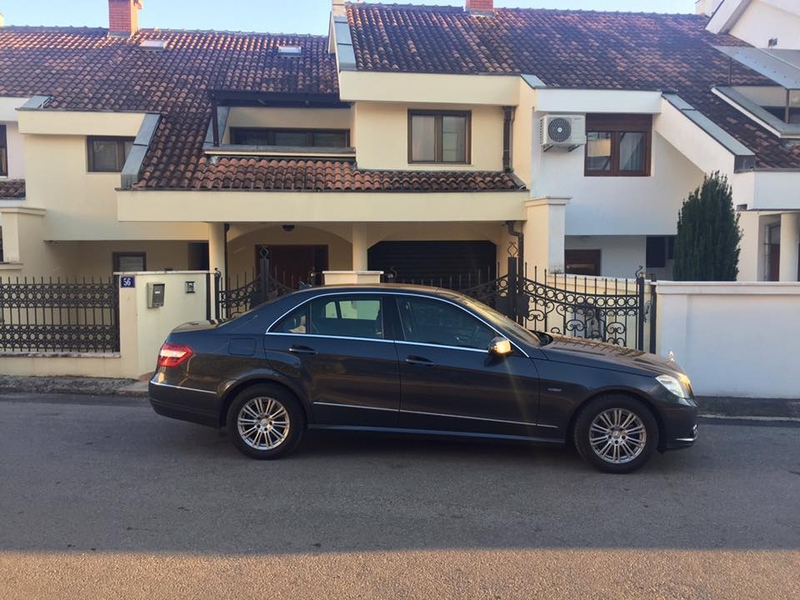 When you need a taxi from the Airport Podgorica, we can provide you with reliable and courteous service - transfer from Podgorica Airport to your hotel or resort. Upon arrival at the airport, your driver will be available at the designated spot near the exit, holding your name-sign. - Not branded cabs for any occasion. You can book a taxi from Airport Podgorica at any time. Our prices are competitive and same all year-round. We don't have discounts during the off-season or charge extra for transporting our clients during the summer months. When you contact us, you only need to provide your name and email address. You may also make your taxi reservation by phone or SMS. Messages can be sent also using advanced applications like WhatsApp or Viber. Airport Podgorica taxi ride can be booked in two languages, our native Montenegrin, and English language. Our representatives speak English and can help to arrange your transportation, and we'll contact you promptly. If there's a change in your itinerary and you must cancel your taxi Podgorica Airport, we won't charge you. Payment is accepted by euro or major credit cards including Mastercard, Diners, Maestro, and Visa. If you choose to pay for your transport by credit card, please let us know when you do your reservation. We will provide a vehicle with a 'point of sale' terminal. If you need to reach Podgorica airport by taxi from any destination in Montenegro or neighbouring countries, we can help you. For this kind of reservations please clearly indicate your departure time, to arrange the best pick up time. Provide our staff with precise address, the number of passengers and your mobile phone number. Your mobile phone number is obligatory in the case that taxi airport Podgorica chauffeur can contact you for unpredictable things. Our prices for taxi transportation Podgorica Airport include passenger insurance, VAT, and tolls. Passenger insurance policy in the vehicle is mandatory for all taxis and covers all possible damages incurred in any type of accident. Private entrepreneurs in Montenegro are not in VAT system, so displayed prices are fixed and unchangeable. Traveling from Podgorica airport by taxi to your destination, and you are for the first time in Montenegro, don't be surprised by road conditions. All main roads are in use for traffic in both directions. The payment of tolls in Montenegro implies only at tunnel Sozina 5 euros, and ferry Kamenari – Lepetane which costs 10 Euros. You'll never be charged for hidden costs, including booking your reservation. For your transport from airport Podgorica, we charge low rates, because we are local taxi service, not official airport providers. You'll ride comfortably in late-model vehicles, in the hands of a professional driver. Each of our drivers has professional experience driving and is familiar with all the roads in the Balkans, so you'll arrive at your destination by the most direct route. Taxi service at Podgorica airport to Ulcinj, Becici, Kotor, Perast, Zabljak etc... is the only mode of transportation, so book your reservation early. There is no shuttle bus or any other kind of public transport, like tram or train. We know it sounds a little incredible, but it's really so. If you are wondering when to make a reservation, to make things easier for you, we always guarantee the same price for you, regardless if you come in the peak of the tourist season. We provide taxi at Airport Podgorica to all destinations in Montenegro and to surrounding countries, so you never have to worry about your transportation. In case there are delays because of heavy traffic, road work, or your flight being delayed, we don't charge you extra for the wait time. We monitor all flights arriving at Podgorica International Airport so that we can schedule your pickup at the agreed upon time. You won't have to wait for our driver to arrive. We'll be there when your flight arrives. If you have not made a reservation in advance, and you contact us upon landing, please keep in mind that our drivers need up to twenty minutes to arrive at the airport, depending on traffic jams. In these cases, unfortunately, we are not always able to ensure a free vehicle. Only confirmed reservations will be provided. Info e-mails and client-side questions are sometimes confusing. Please clearly indicate arrival date and time, flight number, your destination and number of passengers. To provide taxi from the airport of Podgorica this information is necessary and mandatory. When our staff sends a confirmation email, your ride is reserved. Once booked ride is valid until it is finished, you don't need to reconfirm it again. For taxi rides from/to Podgorica airport we are using very comfy cabs. 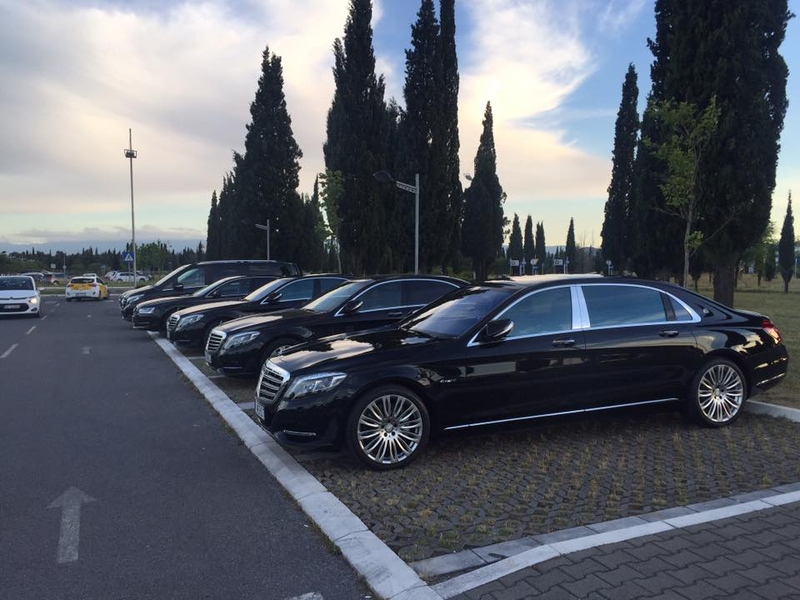 You will travel in Mercedes and VW vehicles adapted to airport transfers and a couple of hours voyage. If you are a business in Montenegro and have an event to promote you can do it on My Guide at no cost. Special offer for Easter in Tre Canne! Get loose on Friday night with good beats and craft cocktails at The Spot. On March 22nd. Welcome! Enjoy your special Easter brunch buffet at The Chedi’s main restaurant, with spectacular marina and sea views. Login to create your guides for Montenegro. This guide has been created by a Montenegro Local Expert. Regent Porto Montenegro and Regent Pool Club Residences have five in-house restaurants. Listed as the oldest restaurant in Kotor and oozing with character, charm and authentic wooden beams which keep the building standing upright. Having great review from their international clients, Dental Montenegro tends to bring the latest global trends to the local market. This place is open for everybody - recreation drivers, professionals, experienced go kart drivers and even children, but also organised groups. Being active is becoming a lifestyle and thus BeActive tour agents from Montenegro will show you the best of the country through activities such as kayaking, biking, hiking, canyoning and so much more. Lake Piva is an artificial lake located in Municipality Pluzine, on the north-west part of Montenegro. Although it is the smallest of four National Parks in Montenegro, National Park Biogradska Gora contains a diversity of flora and fauna. 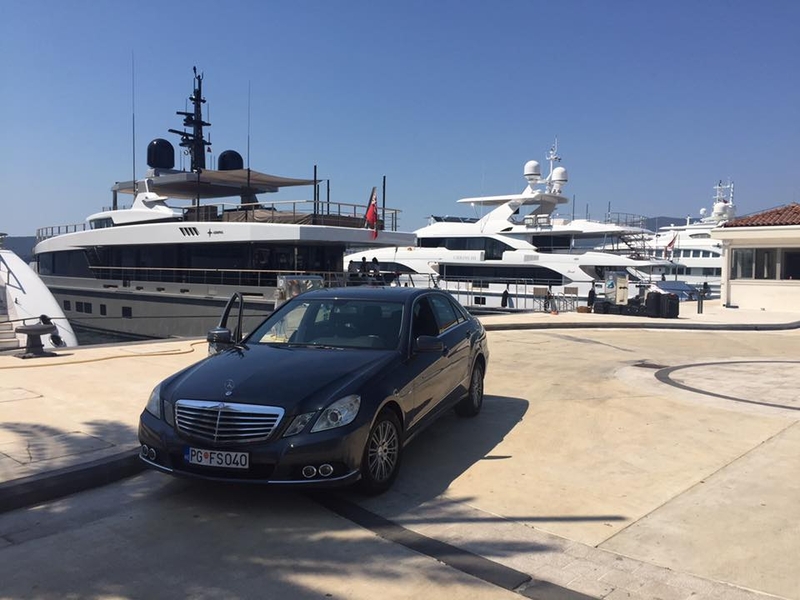 Red Taxi is a company from Kotor, which provides services of a taxi ride in both Kotor and Tivat Municipality. This company stands out among the competition with comfort, safety, accuracy, as well as maximum courtesy and professionalism. A little bird told me... At Lustica Bay the 'green' will be greener with eco architecture! Their goal is to connect with the right clients and keep them well informed and focused while maintaining all their demands and solicitation. As part of their success, Resido Montenegro was named in the newspapers such as the Financial Times, Point, Spectacle du Monde, The New York Times, Capital M6 “Monténégro”, France 24, Le Point, Thalassa, the Luxury Collection. Their services comprise of sales, rentals and property management. After over a decade in Montenegro, especially in the Bay of Kotor and surroundings, we are free to call them real estate experts on the local market! Their support does not stop with the success of your purchase - if you wish, they can help you with the rental of your property, property management, resale, building permits requests and administration in general. Montenegro Properties is a Real Estate Agent in Montenegro, specialising in Montenegro Property for sale. Montenegro Properties offers a wide selection of property for sale ranging from large scale development sites, land, ruins, stone houses, luxury homes and apartments for sale in Montenegro. Real estate in Montenegro is our passion, and properties for sale have been our daily business since 2006. One of the best known real estate brands in Europe and around the world. When you say diverse tourist offer in Montenegro, you can't only think about natural values and monuments, but also various price ranges. 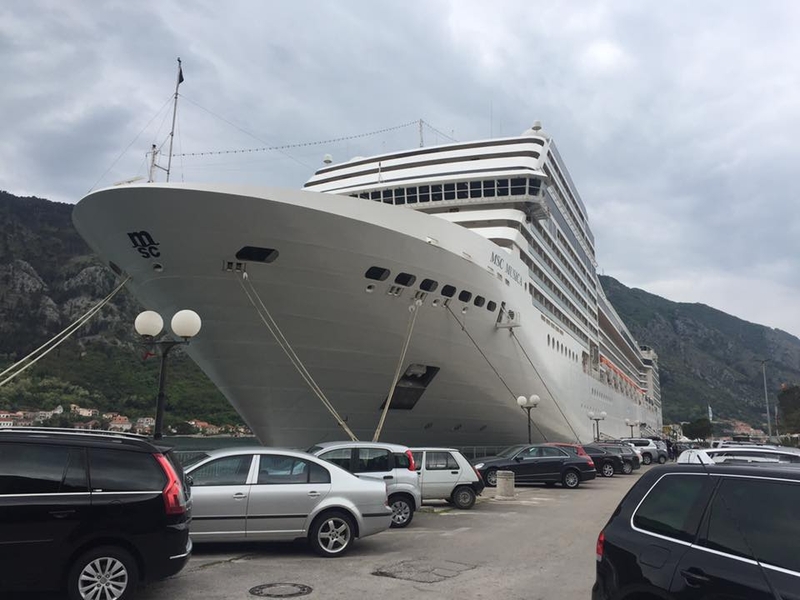 Some places in Montenegro are tagged as the premium luxury locations and are dedicated to tourists who are coming here to take a glimpse of pampering comfort. If you are one of them, feel free to explore our list and add your own suggestions. If you like active holidays and sightseeing than this list is right for you. We handpicked our favourite spots, combining south and north of the country, so you can see all the diversity present in this small jewel on the Mediterranean. Feel free to add more to the list. Hot summer nights, clubs, falling in love, after parties at the beach... That's Montenegro! Similar to other Mediterranean destinations, it's vibrant, active and most of all international. You can find perfect places to party all around the country. We invite you to add your own guides to Montenegro nightlife or recommend us additional listings you would love to see on our website. From magnificent canyons, through 5 national parks, followed with amazing ethnic and rural tourist offer, Montenegro brings you breathtaking locations that will stun you and make you explore even more. Check out our list below and feel free to add your favourite spots. These modern times are tiring our bodies daily and it doesn't matter if we are home or on the vacation, we need to relax from time to time. Montenegro is full of small charming hotels with spa centres that are available all year round and with affordable pricelists. Our featured selection below emphasises only a few of them, premium ones, but we are sure you can explore a lot more in the Wellness&Spa category of the website. Travelling around the world is always inspirational and attractive, especially when you are visiting new markets that can amaze you with their national products and things made locally. Montenegro is an ecological country, officially, so this already says a lot about its beauty, nature, quality products etc. Amongst the most popular ones, we recommend you to taste beer made in Niksic or wines made in Podgorica region. Montenegro, as one of the smallest and newest destinations on the Mediterranean, offers various range of restaurants all around the country. The most popular European and international cuisines can be found here, as well as the many Mediterranean, Adriatic and seafood restaurants, serving delicious specialities. Traditional food is also very popular amongst tourists, so you should taste some Balkan meals and rate those yourself. When we talk about health tourism, considering the climate and its wild beauty potentials, we can say that Montenegro is more than a convenient destination for the development of the health tourism. The rapidly growing number of tourists that visit our country every year, want to be able to enjoy the unspoiled nature and undisturbed places while taking care of their well-being, and Montenegro surely has the potential to provide them what they want with many adventure travel agencies, travelling tours, recreational treatments, and medical services. We present you some of our favourites in the list below. - Adventure- you can find adventure in Montenegrin canyons, rivers, lakes, mountains. - Eco-tourism- a lot of great locations can be found in our country. National parks, flora and fauna as you can only imagine and many more! We hope that this list would help you in your search! Handpicked by a Montenegro Local Expert, we bring you our guide to 'Best Lakes to Visit in Montenegro'. When it comes to taxi service in Montenegro, you should know 2 things - it's still very cheap and it's reliable! Most of the visitors are not aware of this fact and are sometimes being tricked by the unofficial taxi drivers, who are charging them a fortune for short-distance rides! Thus, we wanted to assist all of you and make you a list of reliable taxi providers and some transfer companies in Montenegro, to choose from! Montenegro is becoming more and more popular when it comes to real estate purchasing and thanks to the amazing weather conditions, affordable life expenses and the vibrant lifestyle it is frequently a favourite place for a new home to digital nomads, expats or worldwide billionaires! ​To make it easier for you, we created this list of the most prominent and reliable real estate brokers as well as new development sights! Feel free to add your recommendation or to contact us for any additional information needed! Click here to request a new featured guide for Montenegro from your Local Experts! My Guide Montenegro is part of the global My Guide Network of Online & Mobile travel guides. My Guide Montenegro is part of the global My Guide Network of Online & Mobile travel guides. Our Complete Website Solution frees up the time, cost and technical expertise required to build and operate your own successful online travel business. Sign up for our mailing list to get latest updates and offers for Montenegro.